The iPhone 7 was the device that Apple has shipped in the iPhone family that did not include a mechanical home button. Instead, the company used a solid-state pressure sensitive home button that uses the Taptic Engine to simulate a button press. MacRumors forum member ‘iwayne’ has shared a screenshot that illustrates what happens if iOS 10 detects that the home button is unresponsive. Apple has designed a fallback mechanism for the home button so that if the button stops working, iOS 10 will alert the user about the malfunction and instruct the user to use the on-screen home button. The addition of the new solid-state home button has forced Apple to move some key features of the device. 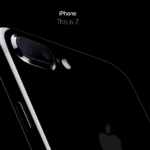 For instance, in order to force reboot an iPhone 7, a user can no longer hold the sleep/wake button and the home button. Instead, the user must hold the sleep/wake button and the volume down button. Have you been experiencing any issues with the home button on your iPhone 7? Let us know in the comments below.